Ryan and I had a day off, so we took a trip out to Milton Keynes to visit Bletchley Park, a stately home that was a top secret location during WW2, the home of the codebreakers who cracked the German’s Enigma code, and helped the Allies win the war. What went on at Bletchley Park was so secret that everyone employed there had to sign the official secrets act when they first walked through the gate. It wasn’t until wartime documents were declassified in the 1970s that the truth started to emerge, and people were allowed to talk about what went on there. Much of that work was carried out in ‘huts’ – essentially large pre-fab buildings – which were allowed to deteriorate after the war. 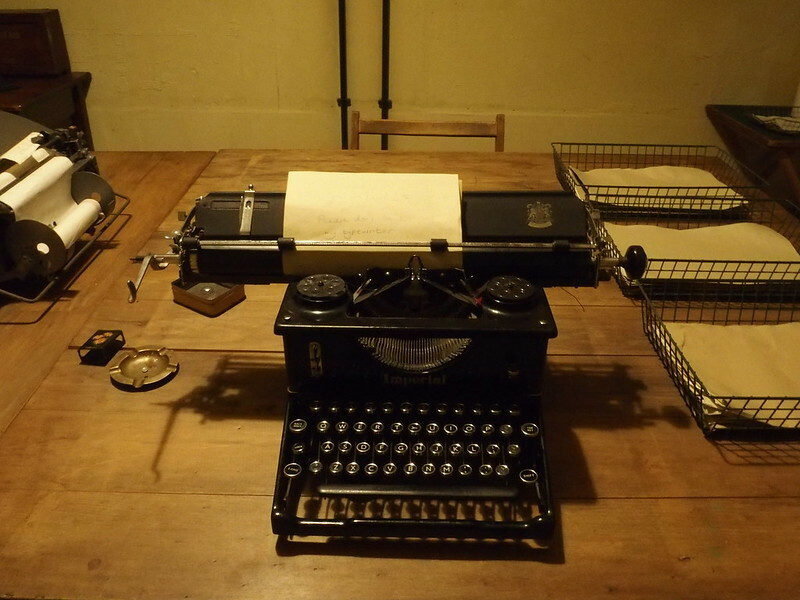 But Bletchley Park has been turned into a museum, and the buildings are gradually being restored, and the surviving employees are being encouraged to tell their stories, so they are preserved for the nation. It’s a few years since Ryan and I last visited, and in the meantime they’ve built a lovely new visitor centre, with a cafe (good cake!) and shop, and multimedia displays that offer a glimpse into life at Bletchley. 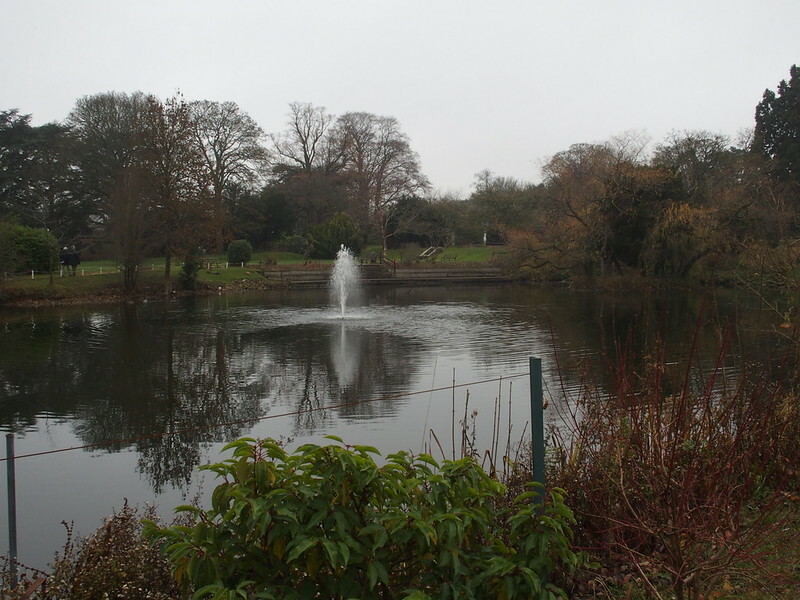 Even driving in, it’s amazing to think that – during WW2 – Bletchley would have been quite a remote location. Now it’s very urban, but Milton Keynes wasn’t built until the 1960s. Bletchley Park is a wonderful glimpse into the material history of the 1940s – what life would have looked like, what people wore, the tools they had at their disposal. 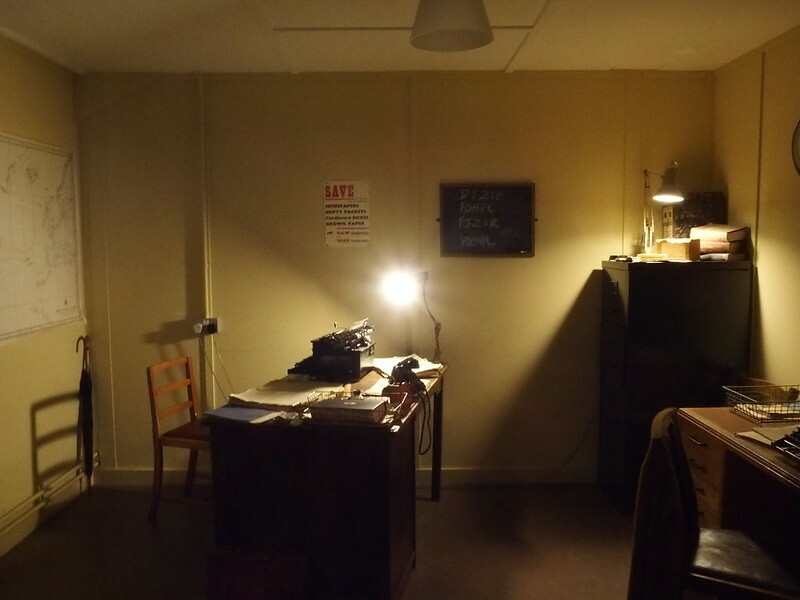 This is Alan Turing’s office in Hut 8. He is (rightfully) the most famous codebreaker, although he was part of a very large team of clever and dedicated men and women. Alan Turing is also considered to be the father of modern computing, as he developed complicated machines to crack codes – work that would have been impossible by hand. This is the Codebreaker’s Wall, which commemorates the people who worked at Bletchley Park, and made such an important contribution to the war. 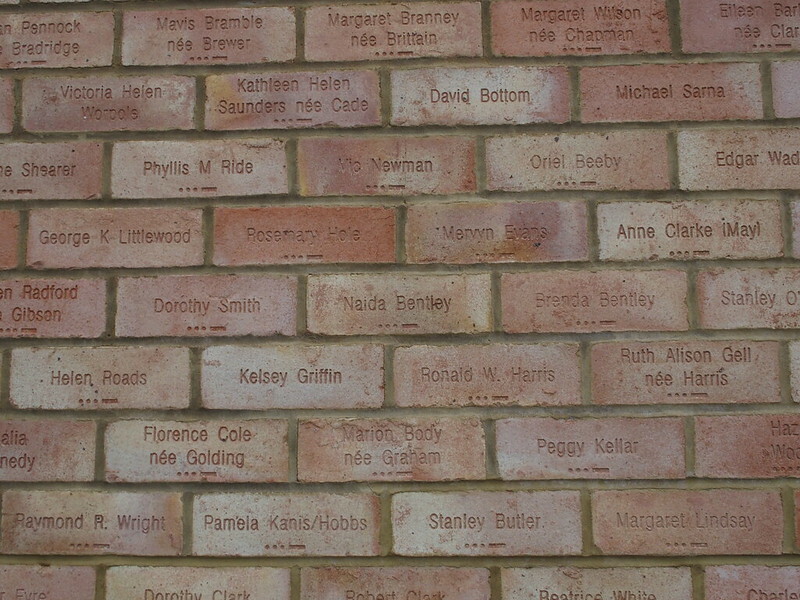 The names with the morse code under them (it means V) are veterans; it’s also possible to sponsor a brick in your own name, to support the work of Bletchley Park. 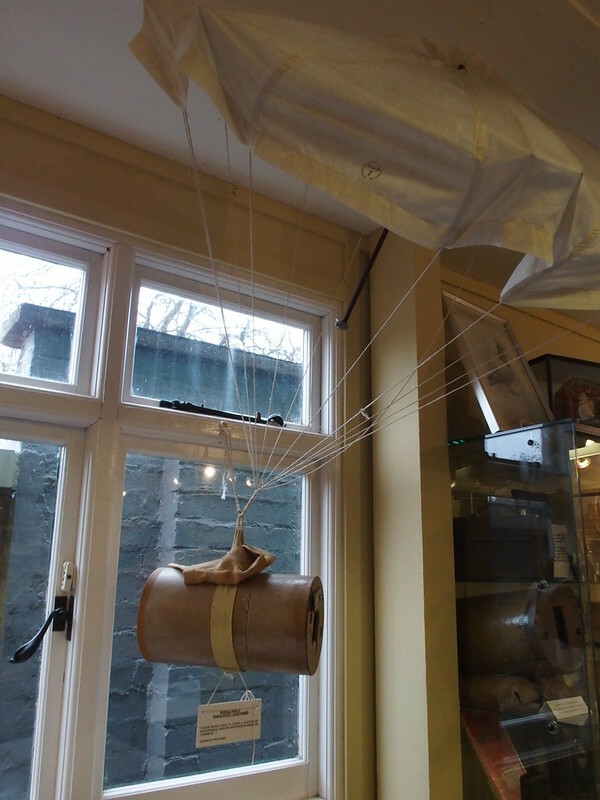 This is a pigeon parachute. It was used to drop homing pigeons down into occupied territories, so that resistance fighters could use them to send information back to the British military. ‘Civilian’ pigeons were recruited for this job, and they returned to their home roost, where their owner would retrieve the message capsule from their leg and take it – unopened – to the nearest police station to be forwarded on. Homing pigeons also flew in aircraft, so be released in the event of a crash, so that the air crew could be rescued. It may sound implausible, but it did work. In 1942 a pigeon called Winkie saved the life of her air crew, who were rescued shortly after Winkie made it home. She was one of 32 pigeons to be awarded the Dickin Medal during World War 2. Bletchley Park has a special exhibition by the Royal Pigeon Racing Association exhibition, explaining the use of pigeons in WW2, in Hut 8. I have started a Google Map of places where you can learn about World War 2, and get a feel for what life might have been like during that period. So far I have added in Bletchley Park and Dover Castle. Ryan and I visited Dover Castle last year; the castle is home to secret wartime tunnels, where Operation Dynamo – the plan to rescue the stranded Allied soldiers from Dunkirk – was masterminded. There’s also an underground wartime hospital.